Home >> Generated from JAN's SOAR Information System on 4/21/2019 12:19:32 AM. This is the air cleaner that removes air pollutants without costly filters. It emits billions of harmless electrons that attach to air impurities and convert them to negatively charged ions, causing the invisible pollutants to gravitate and bond to the positively charged collection tube (larger dust particles will fall to the ground). An independent testing laboratory showed it removed airborne dust, pollen, pet dander, and smoke particles as small as 10 nanometers-100 times smaller than the average bacteria-and its effectiveness will not wane over time like traditional air filters. Capable of purifying an entire 540' sq. room in five hours, the virtually silent air cleaner produces only 5 db-half the decibel level of normal breathing-and it does not produce any ozone. 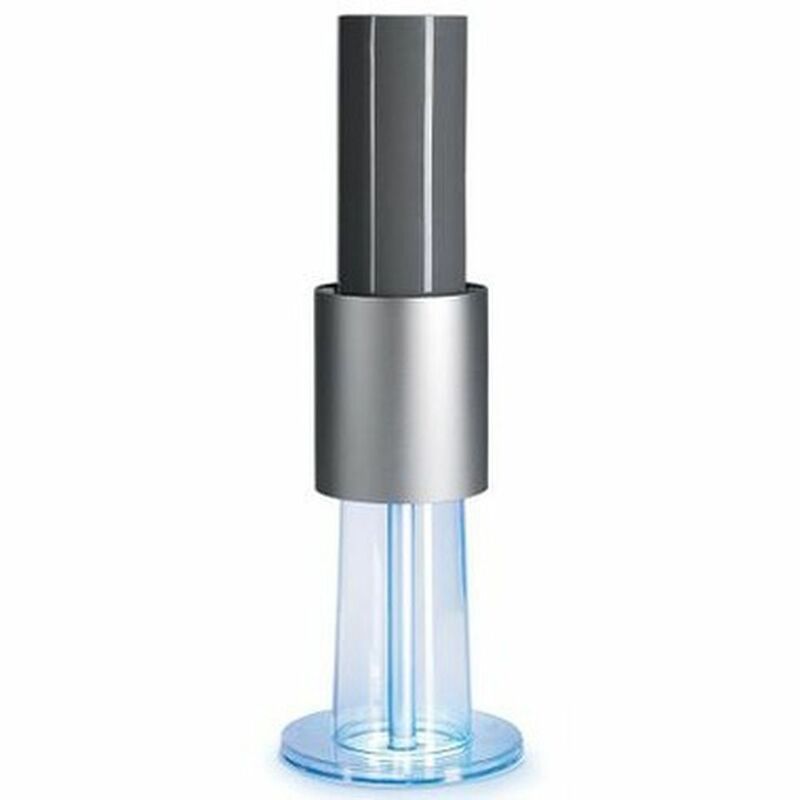 The collection tube is removable and rinses clean once or twice a month for a lifetime of reliable air filtration without additional cost.